Jasminda is a daughter of mixed parentage. She inherited the gift of Earthsong, which is feared in her home country Elsira. Jasminda has lost everyone and now her home is about to be taken away as well. When soldiers come to her door she has to give them shelter. The soldiers bring a prisoner. Jack is being treated cruelly by those who have captured him. Jasminda's Earthsong can heal him partially, but she isn't strong enough to make his wounds disappear entirely. She and Jack need to get away from the soldiers instead. Can she help him escape? Jack fears the True Father, whose Earthsong gets stronger because he steals the power of others. Jack has to prevent this man from taking over his country. Jack has no Earthsong and needs Jasminda's help. If they want to wake up the Queen Who Sleeps, the only one who can stop the True Father, they might stand a chance. Jasminda plays a key role in this mission, but Jack's people are looking down on her and she's in constant danger. While their love grows the aggression of others seems to peak. Will prejudice and hate prevent them from stopping a war? 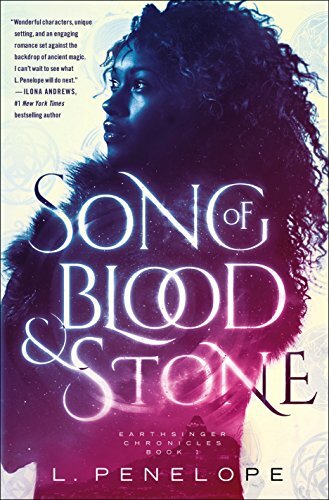 Song of Blood & Stone is a gripping and magical story. Jasminda has led a sheltered life, but she's wise, kind and brave. She doesn't hesitate when Jack needs her help. She's willing to make sacrifices to help others and that makes her an admirable person. Jack is a strategist with a kind heart. His clear vision and sense of duty made me like him very much. There's plenty of chemistry between him and Jasminda. I loved their beautiful deep connection and their wonderful love for each other. I couldn't wait to find out if their mission would succeed and if they'd be able to keep themselves safe. L. Penelope's world building is fantastic. I loved the way she writes about magic, it's original, creative and captivating. Song of Blood & Stone is well written, descriptive and vibrant. I loved the fierce main characters, the great message that love will conquer all and the raw and honest way L. Penelope writes about the different nations and their inhabitants. Song of Blood & Stone is action-packed, fast-paced and intriguing. It's a mesmerizing story filled with amazing power. If you love gripping fantasy Song of Blood & Stone would be an excellent choice. Leslye Penelope has been writing since she could hold a pen and loves getting lost in the worlds in her head. She is the author of fantasy, new adult, and paranormal romance with characters who match the real world. 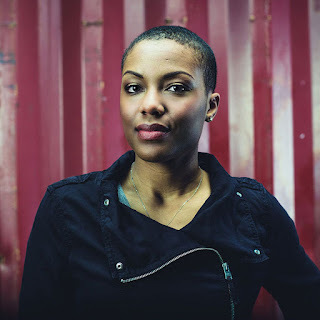 Her debut novel, SONG OF BLOOD & STONE, won the 2016 Self-Publishing eBook Award from the Black Caucus of the American Library Association. The fantasy series was picked up by St. Martin’s Press for publication starting 2018. She was born in the Bronx, just after the birth of hip hop, but left before she could acquire an accent. Equally left and right-brained, she studied Film at Howard University and minored in Computer Science. This led to a graduate degree in Multimedia and a career in website development. She’s also an award-winning independent filmmaker, co-founded a literary magazine, and sometimes dreams in HTML. Leslye lives in Maryland with her husband and their furry dependents. I’ve always wanted to write and spend my childhood summers in writing camps and workshops. But I also developed a ton of other interests. I studied film in college and went to the Cannes Film Festival as part of a student program. I worked at NPR and on the staff of the television show America’s Most Wanted. I also worked in computer tech support and was an aspiring DJ for a short period of time. So writing is sort of the core that holds everything together and is the thing I always came back to. 2) What’s Earthsong and how did you come up with this amazing gift? Earthsong was inspired in large part by my evolving ideas about spirituality and our interconnectedness. But part of it was inspired by an ex-boyfriend of mine who was into New Agey type mysticism. He once told me that the universe vibrates in the key of C. That concept stuck with me when I began thinking of this magic system that was powered by the energy of every living thing—a constant vibration that certain people were sensitive to. And just like the vibration of the universe isn’t audible, neither is Earthsong, it’s just a silent connection to Life and nature. 3) Can you describe the main characters of Song of Blood & Stone in seven words each? Ah, this is tough. Okay, Jasminda is: lonely, tough, stubborn, insecure, selfless, intelligent, quick-witted. Jack is: jovial, laid-back, responsible, dutiful, hot-headed, courageous, kind. 4) How did your love for fantasy start? Fantasy was always my default. The very first short story I wrote at age 5 featured a boy with a magic clock that made it so he was never late for dinner, and I never really looked back. Growing up, my favorite shows and movies were either outright fantasies, like The Neverending Story or featured a world somewhat skewed from our own, like The Twilight Zone, Tales from the Darkside, and The X-files. So my mind just naturally went to the magical, supernatural, and strange first. It didn’t really occur to me to try to write anything realistic for a long time, and when I tried a little bit of magic slipped in anyway. 5) You write about a dangerous magical world, what’s the inspiration behind it? I’ve definitely been influenced by all sorts of epic fantasy from “The Lumatere Chronicles” by Melina Marchetta to Acacia by David Anthony Durham and many more. I love worldbuilding and creating new worlds helps me think about our world in different ways, which is the beauty of fantasy. The #blacklivesmatter movement can be seen as an influence on the world of the Earthsinger Chornicles, as well. You have a society where some people are systemically denied basic humanity and where their lives are treated as having less value by the establishment, law enforcement and many citizens. Once you add magic into that, you get something impactful for a fantasy, but that hopefully allows us to examine our own prejudices a little more closely. 6) What does magic mean to you? For me, magic, and specifically Earthsong, is a metaphor for our own personal identities and our interconnectedness. In the book, Jasminda is searching for a place to belong, and I think most people can identify with that in one way or another. Her unique magic both helps and hinders her quest, but accepting herself as she is becomes an important lesson. Also, magic is wish fulfillment. We all wish we could change certain things and often feel powerless to do so. Imagining a world with magic is visualizing one where we can all have more impact in the world around us. 7) You write, develop websites and make films, how do you combine each of these careers? It can be difficult to find time for everything. Once I started focusing on writing professionally, I mostly stopped working on film projects. So, some of my interests are cyclical, I can work on a specific project in one area and then focus on the next one, possibly in a totally different medium. But I think it’s important to do the things that feed my soul, so when I have free time I have to be really careful about how to spend it. Making websites is both fun and my primary way of paying the bills, so that’s always in a tie with the writing for mental and creative attention. 8) You clearly are a creative person, do you have any advice for young creative people who are also thinking about pursuing multiple careers? My main advice would be to identify the things which you’re pursuing as a professional and those things which are more of a hobby. I don’t think you can really focus on more than two or three things professionally, and that number can shift depending on your personal circumstances like children, a spouse or partner, and aging parents. Sometimes it’s best if your creative outlet remains a hobby, it’s much less stressful. When it becomes professional, it’s important to treat it like a business, which is a much different mindset. 9) Your stories are filled with adventure, but there’s also romance, what does real love mean to you and what do you like the most about the combination of falling in love while being on a dangerous mission? I think real love is about trust, respect, and admiration and what better way to acquire those than going on a dangerous adventure? Stressful situations show you what someone else is made of and forge bonds that can be very strong. I remember reading about a scientific relationship between adrenaline and falling in love. The chemicals released by your brain are the same one as when you jump out of an airplane, so there’s some relationship there. But I also just enjoy stories where people fall in love. I’ll pick up a romance novel before just about anything else these days, so why not match it with fantasy adventure? It can satisfy every aspect of my brain and my heart. 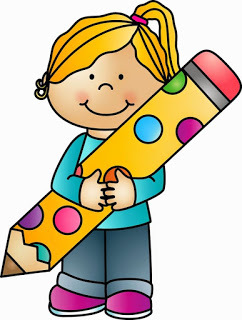 I will definitely keep writing! I have so many ideas in this world and in other worlds. Book 2 in the Earthsinger Chronicles, WHISPERS OF SHADOW FLAME, will be out next Spring. And I’ll be releasing a novella before then to bridge the gap. Plus, I’m also working on a brand-new series with dragons. 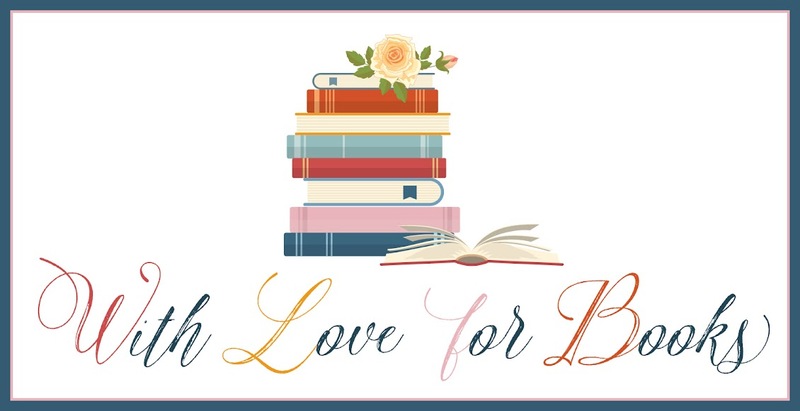 One very lucky reader of With Love for Books will receive a $10 Amazon gift card and a Song of Blood & Stone swag pack, including trading cards and a signed book plate by L. Penelope. 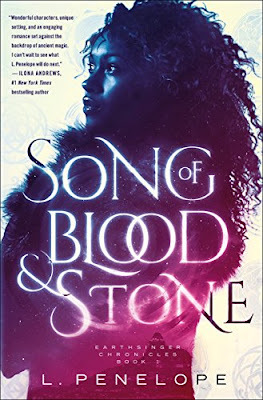 Song of Blood & Stone sounds like a fast-moving, detailed fantasy alongside a love story and powerful and timely political messages. What a great-sounding heroine in an exciting story! Sounds like an exciting read, a page turner. Beautiful and stunning cover, I love it! I absolutely love the sound of this! I liked the review. The book sounds great. I'm currently reading an ARC of this book and am LOVING it! 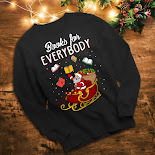 I'd looooove a hardcover copy of this book, and some swag for this series, because I'm enjoying it so much and will be reading it from book 1 to whichever book it will end with haha. Thank you for writing for us, L. Penelope! This book sounds like a fascinating read, I can't wait to read it. I love the cover of your book. Thank you for the chance to win. I'm always impressed by authors who can create such detailed worlds. Song of Blood & Stone really captivaded me and the book really spoke out about modern issues. Fantasy stories is a genre I've lately love dearly. I'd so love to read it. This awesome cover caught my eye a while ago. Fantasy is my go to as well. Congrats on your release! This is such a great book! Congrats on the publication!!! Dear L. Penelope., I love reading your books! You are a rockstar! I enjoyed the interview, and the cover of the book is great! Sounds great! Can't wait to read! 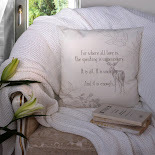 Book cover stunning.Love to read. I would like to give thanks for all your really great writings, including Song of Blood & Stone. I wish the best in keeping up the good work in the future. I've just ordered this for my niece's birthday & will read it as soon as she's finished.